388 pages | 1 B/W Illus. Within these sections central issues, debates and problems are examined, including: the nature and normative importance of consent, paternalism, exploitation and coercion, privacy, sexual consent, consent and criminal law, informed consent, organ donation, clinical research, and consent theory of political obligation and authority. 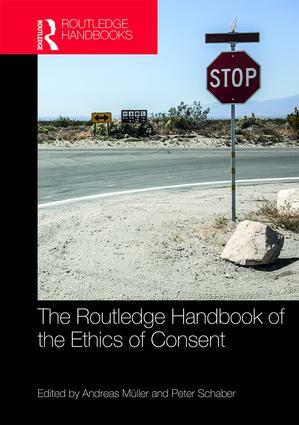 The Routledge Handbook of the Ethics of Consent is essential reading for students and researchers in moral theory, applied ethics, medical ethics, philosophy of law and political philosophy. This volume will also be very useful for those in related fields, such as political science, law, medicine and social science. "This timely volume collects a range of distinguished scholars who examine every important question about consent. No moral, political, legal or medical issue is untouched." "This is the most complete and interesting treatment of Consent, in all its aspects, that we now have. It is essential reading for all those interested in this important topic." "This book is a good introduction to the topics of consent, both for scholars interested in learning more and as an introduction for students. The breadth of coverage is vast and the discussions of these subjects are of high quality. Because of the variety of topics in the book, most readers will probably be able to find a few sections relevant to their interests." Hubert Schnüriger: What is Consent? Terrance McConnell: When is Consent Required? Andreas Müller is Assistant Professor for Ethics at the University of Bern, Switzerland. Before that, he was a postdoctoral researcher at the Centre for Advanced Study in Bioethics at the University of Münster, Germany. He is currently preparing a monograph on the normative relevance of consent. Peter Schaber is Professor for Applied Ethics at the Centre for Ethics, University of Zurich, Switzerland. He was previously lecturer at the University of Göttingen and Hannover, Germany. He is an editor of Moral Philosophy and Politics and a member of the executive board of the Society for Applied Philosophy.